With over a decade of experience training students to become yoga teachers Himalaya Yoga Valley Centre (RYS 200 & 500) is a renowned international leader in the field of yoga education and training. We hold 200 Hour One Month Teacher Trainings at our centre in Goa and also here in Cork. Many people wish to travel to our school in India to study yoga at the source but for those looking to access a depth of traditional and authentic teachings closer to home our one month TTC in Cork is also a popular option. At the end of this page you will be directed to our external Teacher Training website which hosts information for our Teacher Trainings. Below is some brief information on our Teacher Training Courses. For full course details, curriculum, fees and locations or to make an application please go to the link at the end of this page. Over 2000 students from around the world have taken the journey to become exceptional yoga teachers at our Traditional Ashtanga Teacher Trainings Centers in Goa, Thailand and Ireland. Our training blends traditional Eastern teachings by Indian Masters of Yoga, combined with teachings from highly experienced and dynamic Western teachers. Trainings are lead by school founder Yogacharya Lalit Kumar and his expert team of teachers. Our students gain the opportunity to learn in an authentic Yoga setting with teachings directly from the source whilst gaining the skills required to impart these teachings practically and relevantly in a global yoga environment. 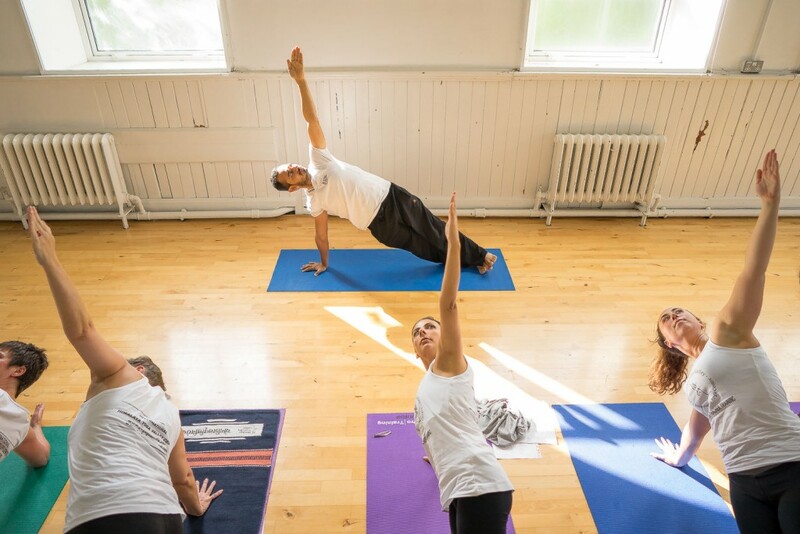 Our TTC is an internationally accredited program with Yoga Alliance US, Yoga Alliance UK, Yoga Alliance international and the International Yoga Federation. Our unique Internship program greatly benefits graduates who are keen to deepen their knowledge and further their education post training. With substantial emphasis and hours focused on teaching practicum’s trainees emerge from our TTC as confident teachers with a strong and solid teaching skill set ready to begin their career. Alongside developing the art of teaching, trainees also gain a comprehensive understanding of the practice of yoga asanas, philosophy, physiology, adjusting, mantra chanting, charkas, anatomy, ayurveda, mudras, pranayama and meditation. Himalaya Yoga Valley is dedicated to honouring and sharing traditional Ashtanga and Hatha yoga practices as passed on by the great masters before us through our schools lineage and the highest professional standards of training delivery.